Ravens are big. I didn't quite appreciate this fact until I visited the Tower of London. I was sitting on the ancient stairway leading up to the White Tower, trying to attract one of the grounded ravens towards me. My empty fingers rubbed out-stretched towards it. My friend stood a short distance away, poised with a camera. The raven came. Suddenly primal warnings shot from my arm to my brain. This bird was nearly as big as me! At least that's how it seemed! And it was so very close. I yanked my hand away and cowered on the steps. My friend never did get a decent photograph. But the Tower of London was the perfect place to try. The ravens are always there, and they cannot fly away. There are currently seven ravens in the Tower of London. Tradition says that there should be six, so one is viewed as the 'spare'. The fact that they've become a tourist attraction in their own right meshes well with the apparent pandering to legends. Rationally minded Beefeaters - military men and women all - can brush away any accusation of superstitious thinking, by stating that visitors expect ravens. But don't be fooled. It's all about the legend. One Beefeater - the nickname given to the Tower of London guards - is employed to look after the ravens there. The current Tower Ravenmaster is Chris Skaife, who even Tweets regular messages about the birds in his care. 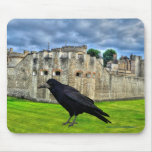 The Tower of London ravens are kept extremely well. They each enjoy hearty meals - each one getting 500g of meat every day, alongside bird biscuits soaked in blood and regular chopped apples - as well as the best veterinarian care in Britain. At night, they live in cages, but only because foxes crawl through the sewers and have been known to attack them. First thing in the morning, Skaife does his rounds, letting them out of their aviaries alongside the White Tower and the Wakefield Tower. Then the ravens fly free all day. To a given value of 'free' that is. All of the ravens in the Tower of London have one wing clipped. This allows them to take to the air, but not very far. Often it's only up to land on a low perch. Some struggle to make it as high as the turrets atop this ancient London landmark. But why all that effort in care and captivity? That's because of the old saying, 'if the ravens leave the Tower, the kingdom will fall'; yet the warning may not be as venerably ancient as is often assumed. Then again, it might. 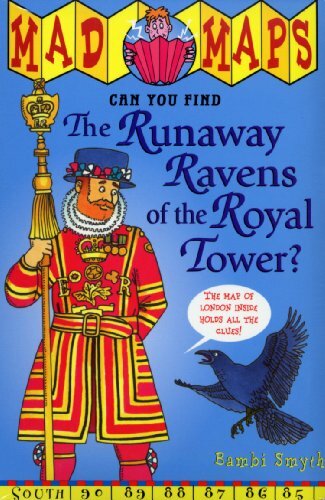 Did Charles II Order the Tower's Captive Ravens? 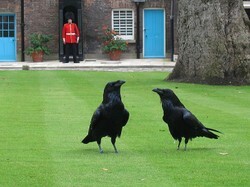 The story told to tourists is that ravens are held at the Tower of London due to a four hundred year old law. In the seventeenth century, the Tower of London was home to Britain's premier observatory. Astronomer John Flamsteed complained to his monarch, King Charles II, that ravens nesting there kept impeding his view of the stars. Charles II promptly ordered that all of the Tower's ravens be shot. But superstitious advisers quickly intervened. Upon being warned of an old legend - that the Crown, and Britain with it, would fall if the ravens ever left the Tower of London - Charles moved the observatory instead. Then ruled to keep six birds trapped within the precincts of the Tower. We're still obeying those royal edicts today. Historians who have studied these raven stories have come to the conclusion that the superstition is very recent indeed! 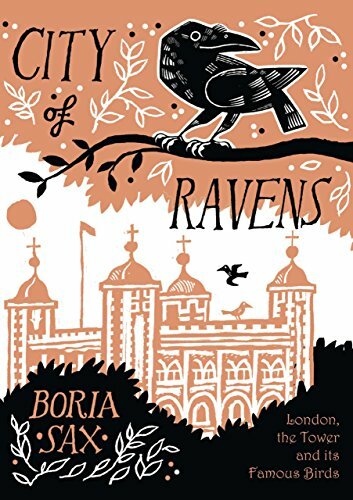 Historian Boria Sax ran into a bit of a problem, when researching his book City of Ravens. He had assumed, like the rest of Britain, that the legend of Charles II and the ravens was fundamentally true. He just needed the proper wording from the primary source material, then he could get on with writing the rest of his history of the Tower's ravens. But the documents simply weren't there. Moreover, a thorough search of the historical record showed no mention of captive ravens in the Tower of London before the 19th century. Sax was forced to conclude that the superstition about the Tower ravens only dated as far back as the Victorians. It is a view semi-secretly shared by official Tower historian Geoff Parnell. It is now believed that the tradition of keeping captive ravens in the Tower of London has, at its root, a fashion fad from 1845. That was the year when Edgar Allan Poe published his famous poem The Raven. It inspired the keeping of ravens as pets amongst the well-to-do throughout the Western world. Which possibly included some of those resident in the Tower of London. The fortress had long been a popular roosting place for ravens, but this was something different. This ensured that when tourists flocked through the doors to hear gruesome tales of the Tower's brutal history, it was against a backdrop of ravens cawing. 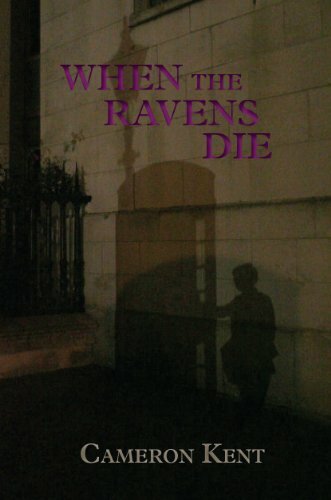 Ravens have an ancient association with death within the British psyche. Native Celtic stories are full of them, while the coming of the Anglo-Saxons and the Normans didn't precisely calm things down. For those Victorian thrill-seekers, it was all too perfect. It is assumed that some entrepreneurial 19th century Beefeater invented the Charles II legend, and all others since have merely repeated it. It titillated tourists, without anyone having to admit that was the actual point. The legend has given rise to even more flights of fantasy, as these authors can attest! The Earl of Dunraven certainly sent a gift of ravens to the Tower of London, but why did he do that? More pertinently WHO was he sending. Sterling silver Raven pendant. The raven was sacred to the Celtic goddesses Rhiannon and Morrigan. Aprox. Size : L: 1.25" W: 0.75"
While there might be some credence to the theory of an Edgar Allan Poe inspired pet raven fad, it's known that captive birds in the Tower did arrive through another avenue too. The 4th Earl of Dunraven was a Victorian statesman, who served both in the House of Lords and as Secretary to the Colonies under Prime Minister Lord Salisbury. 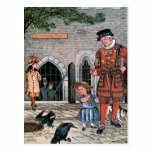 But his link here comes through his gift of several captive ravens to the Tower of London. It seems to have happened quite out of the blue, and may not have been so 'innocent' as first appears. His grandfather was Windham Henry Quin, 2nd Earl of Dunraven, who married the heiress of Glamorgan Castle and made his home there. He became obsessed with Welsh mysticism, Celtic lore and, in particular, the religion of the ancient Druids. Among his other interests, the 2nd Earl of Dunraven became a patron of Iolo Morganwg. This scholar and poet probably did more than any other figure in recent history to re-ignite interest in Druidism. Even if he did forge half of his sources. Dunraven became convinced that Glamorgan Castle was being visited by the Celtic God Bran, in His atavistic form of a raven. Part of the legends surrounding Bran the Blessed is that the land cannot fall while his head is facing the seas. It was a story pertaining to Harlech in West Wales, and the erstwhile invaders being frightened away were Irish slavers and raiders. There is another story that Bran's head was removed - thus facilitating the invasions of the Romans, Anglo-Saxons and Normans respectively - until it was found again and placed under White Hill in London. That is, underneath where the Tower of London now stands. 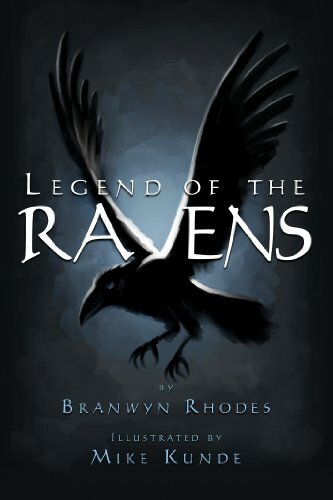 It's a legend which seems to stem from the time when Dunraven's grandson was importing captive ravens to the Tower of London; and stories were suddenly springing up that Britain will fall unless the ravens remain. It doesn't take a conspiracy theorist to put the clues together. It's not the ravens per se who protect the land, it's a Celtic God transplanted from Wales to London. It's Bran the Blessed, in raven form, staking a claim for neo-Druidism in the Tower, as devised by the Earls of Dunraven. As ethnically one of those Celts, I preen and thank you muchly. :D Though I didn't personally have much to do with this one. I always try to go back to source as much as possible. It's amazing how much Chinese whispers kick in, even in historical study! This is fascinating. I especially enjoyed Boria Sax's being a stickler about checking the source documents -- careers have been made from doggedly tracing backward to originals. Also intriguing is the underlying potentiality of a transplanted Celtic God being the reality behind the legend. Brilliant. Those Celts: they're powerful, and they're timeless. LOL I've never heard that before, but even the synopsis made me laugh aloud. I'll certainly be giving it a listen. Thanks! This brings to mind an episode of the Goon Show in the mid-1950s. Neddie Seagoon steals the 60-foot McCaber of the MacReekie clan who then invade England to get it back. The Scots besiege the Tower of London and Minnie Bannister cooks up 24 ravens in a pie with the result that the Tower falls. Fortunately perhaps, they don't write stuff like The MacReekie Rising of '74 any more. 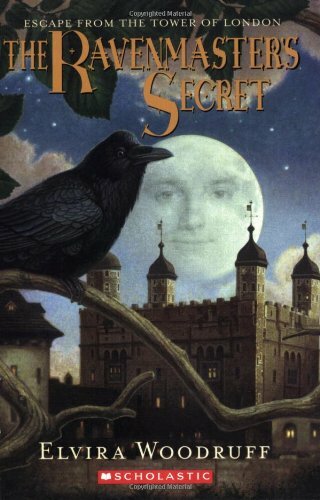 :D Do you recall the ravens when you were there? And did you realize that you were looking upon the Earthly form of the God Bran? what's the question re Chris Skaife's accent? It's fun reading all these articles you've been writing about the places I got to see. 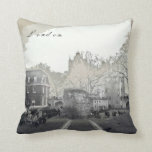 For nearly 1000 years people have lived in the Tower of London. Many were tortured and killed there. Things like that leave their mark.